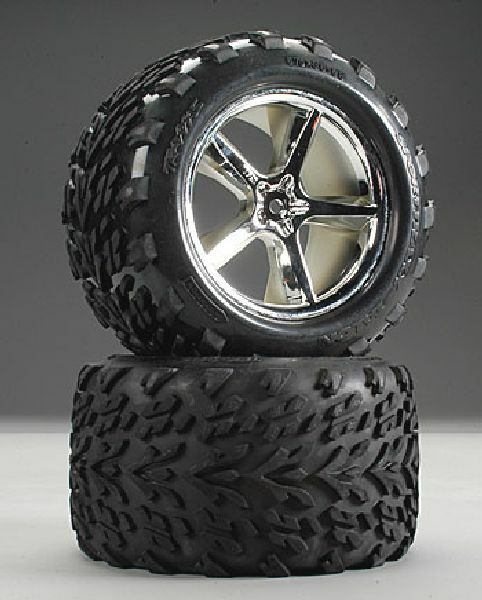 This is TRA5374, a set of Gemini Chrome Wheels and Talon Tires for the Traxxas Revo. Five spoke chrome plated wheel construction. COMMENTS: Also fits Traxxas T-and E-Maxx vehicles.